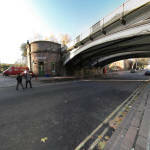 Friar Gate Railway Bridge - 360 degree VR Photography. 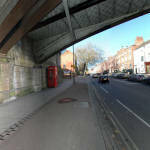 360 degree VR Photography of Friar Gate Railway Bridge. 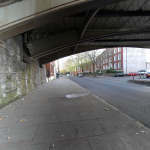 Here are some 360 degree Virtual Reality photographs which I have produced. These are interactive spherical photos that allow you to look around in all directions and also zoom in/out. If you are unable to see the bridge for yourself then these are as good as being there as you can get ! In order to view them you must have a broadband internet connection. When you click on a thumbnail a new window will open and the 360x180 degree photograph will begin to build up in sections, initially in low res grey panels then in time they will become high resolution colour. You can control the view by clicking the left mouse button and dragging the view around. Finally the two 360s at the bottom do not require any plug ins at all, they will work on all computers but you can only look around (not up/down) and no zoom. The views I have created here require that you have Quick Time installed on your machine and that you have a broadband internet connection. Quicktime Viewers - Interactive Map. 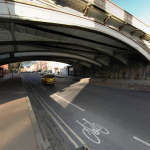 This is a photograph of the Bridge area from above, To view a 360x180 degree photograph simply click on one of the red circles to view the bridge from that position. Or use these thumbnails to view them . . . Here you can see the bridge from the Ford Street side, photgraph taken from the opposite side to the Cob Shop. This Interactive Spherical 360x180 degree photograph requires Quick Time. Here you can see the bridge from underneath the arch. Here you can see the bridge from the Pickfords House side. Here you can see the bridge from right outside The Cob Shop. 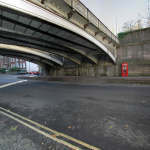 Photo Description : Friar Gate Railway Bridge View 2, Derby. Here you can see the bridge from underneath allowing you to look up and see the structure. Flash Veiwers - Interactive Map. The views below are strictly for those who do not wish to install Quick Time, these viewers do not require any browser plugins at all. I have designed them to work on all browsers. You can only look left and right not up or down and no zoom. The BEST views are using the Quick Time Viewers above. 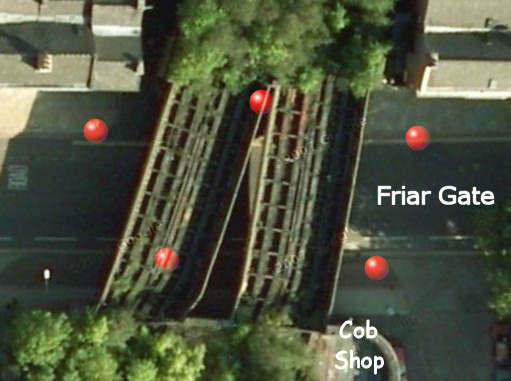 Details : This view shows Friar gate railway bridge.